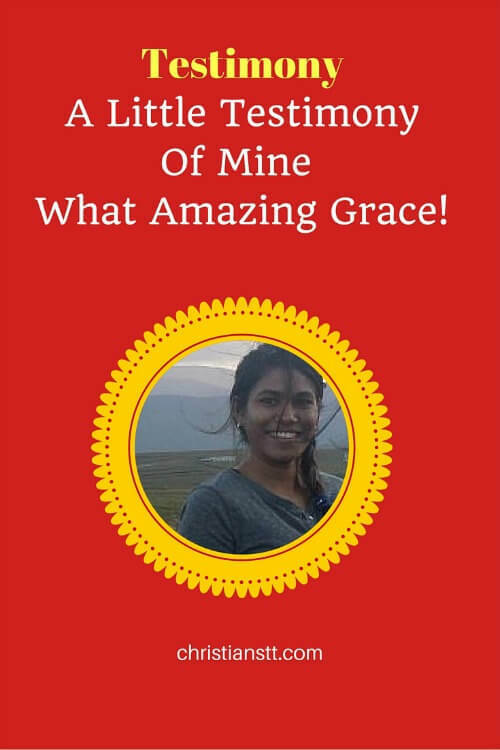 A Little Testimony Of Mine - What Amazing Grace! Today I want to emphasize on God’s blessings. Everyone, in some sort of way, has experienced God’s blessings and today I want to share a testimony really of his goodness and his favor. When on vacation recently, there were three things that really struck out to me. I have laid out a blue print for my life. So did God. But God has shown me that He can move things up for me. He has proven that whilst my blue print has flaws, His is perfect. Even when you think you have no resources, He has proven to be Jehovah Jireh- My Provider. I honestly did not see myself travelling any time soon, considering that I am still in school. I had planned for the time being to get myself a job first, so that I can have the money to travel. But here, God has taken that plan and moved it up in my life. For what reason I am unsure of, but it happened. He has blessed me, without me asking for this opportunity to visit Ireland and London. I have seen God really show his skills off, I won’t lie. And it dawned on me that we really do sell God Short of His Miracles. We sometimes refuse to see his mighty hand working. Even in the smallest of ways, His grace is large. He provides a way for us. He supplies all our needs. God sees us through the hard times in life, and rejoices with us in the good times. While in Ireland, I learnt a lot. Especially about the song Amazing Grace – By John Newton. I was able to visit Amazing Grace County, and see the shores in which he got shipwrecked when he decided to give himself to God: – Lough Swilly Bay. It was a personal experience that I can not even describe. But this now world-wide famous song is an autobiography of John Newton’s life that I hold so close to my heart. I now sing/listen to the song and there’s a whole new meaning to the words. It’s not just a hymn anymore. Time To Give Him A Try! This has taught me how truly amazing God’s grace is. Lets give Him a try today. “I was blind, but now I see” There’s so much at stake if you don’t believe in God. God is my hope, my light and my salvation. At times we falter, at times we fail, but His amazing grace is made perfect in our weaknesses. He has truly blessed me, and He still continues to favor me and I give God all the Glory and Honor for that. I hope you have been blessed! Be encouraged! Be Inspired!